The map above gives a preliminary view how white voters voted in the 2016 US presidential election on a county by county basis. 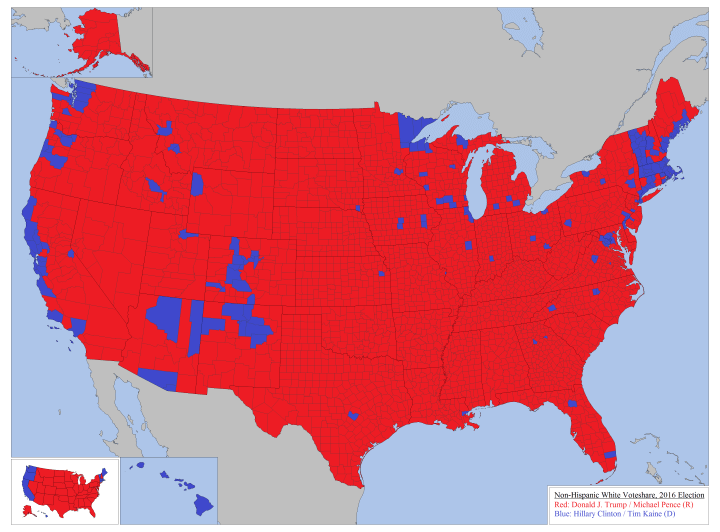 The counties in blue voted for Hillary Clinton and the ones in red voted for Donald Trump. Map created using 270 To Win, based on reddit user Taillesskangaru’s posts here and updated here. 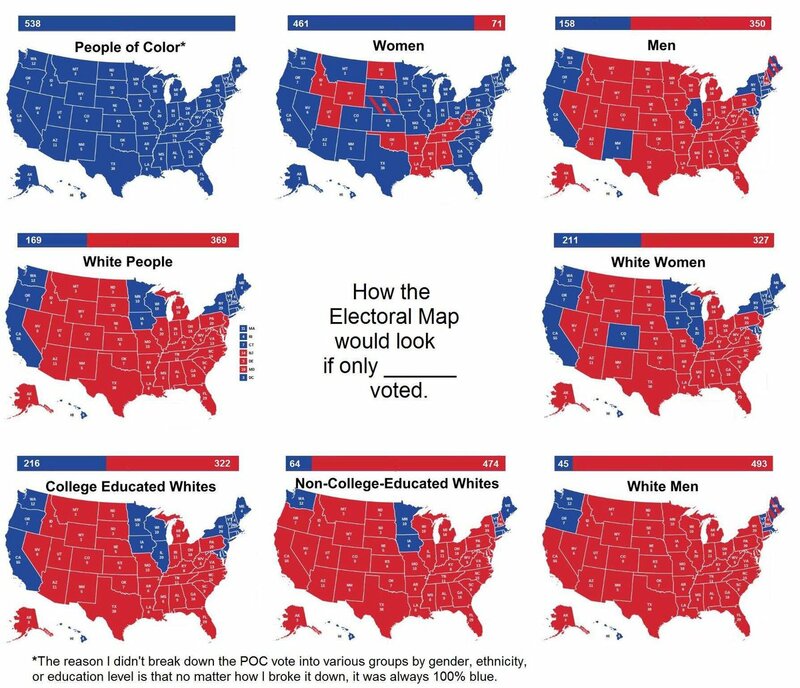 The map above shows how the 2016 US Presidential election might go if only one demographic group got the vote. 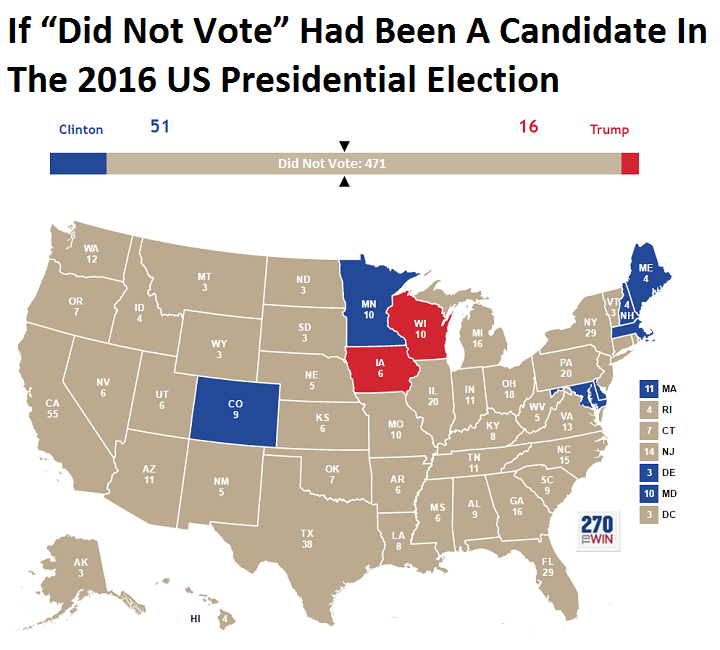 The map was created by Ste Kinney-Fields and is based on data from from fivethirtyeight and 270towin. You can read the full article here. 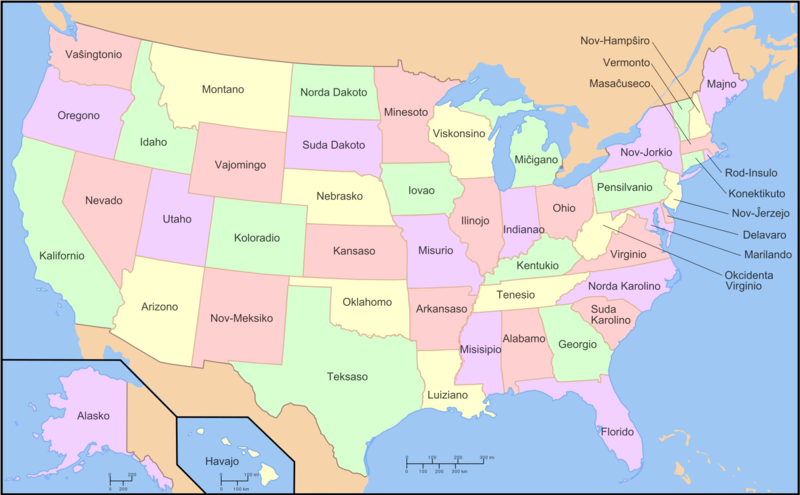 The map above simply shows the names of each of the states in the United States with their names in Esperanto. Interestingly, both Ohio and Idaho are spelled the same, although would be pronounced slightly differently than they are in English. 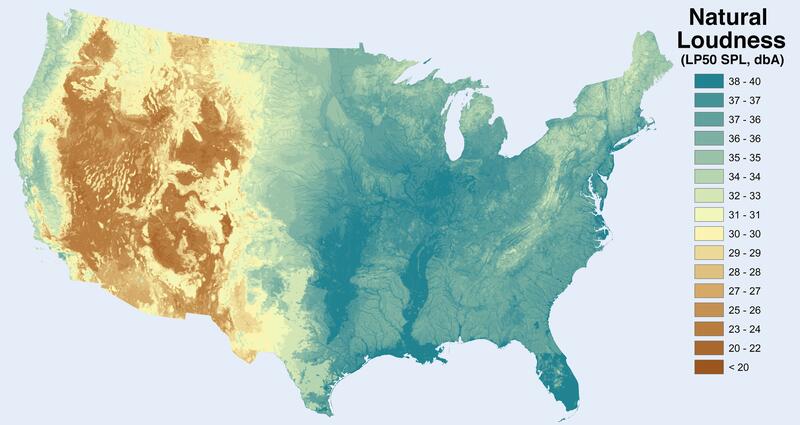 This remarkable map was developed by the Natural Sounds and Night Skies Division of the U.S. National Park Service. It shows the distribution of the loudness of natural sounds (sounds that would be heard if human influence were taken out of the picture). 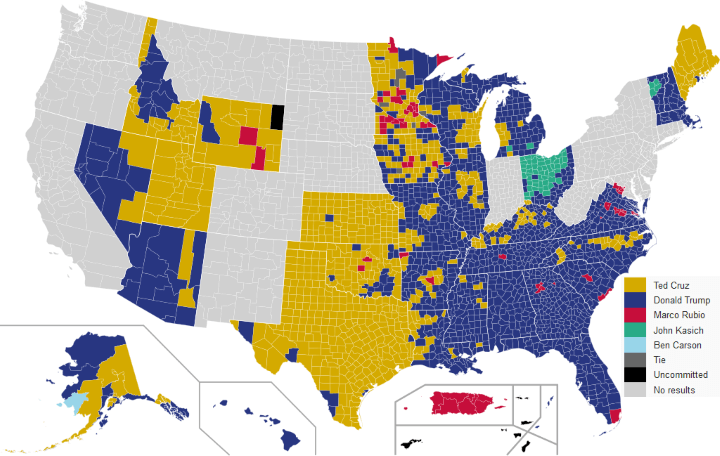 The map above shows a county by country breakdown of the Democratic Presidential primaries as of April 9, 2016. Counties won by Hilary Clinton are shown in gold and those won by Bernie Sanders are shown in green. The map above shows the country level results of the 2016 Republican Presidential primaries as of April 5, 2016. Blue for Trump, gold for Cruz, red for Rubio, green for Kasich and turquoise for Carson. 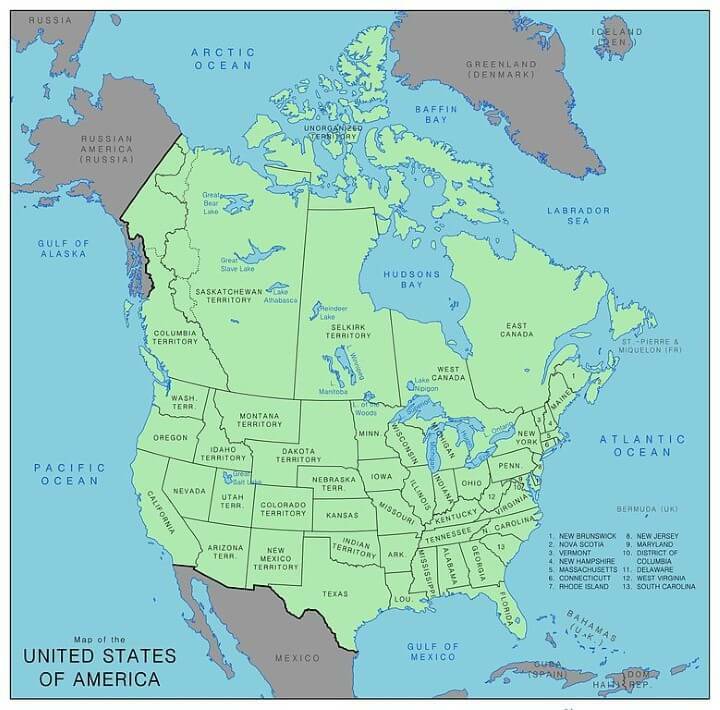 The map above shows what an alternate United States might have looked like if the The Annexation Bill of 1866 had passed. 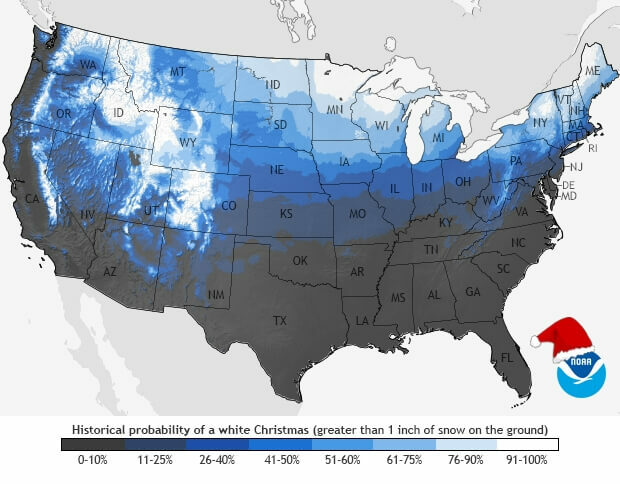 Given how popular the Probability of a White Christmas Across Europe map turned out to be, we were happy to find that the National Oceanic and Atmospheric Administration has created a similar map for the United States.